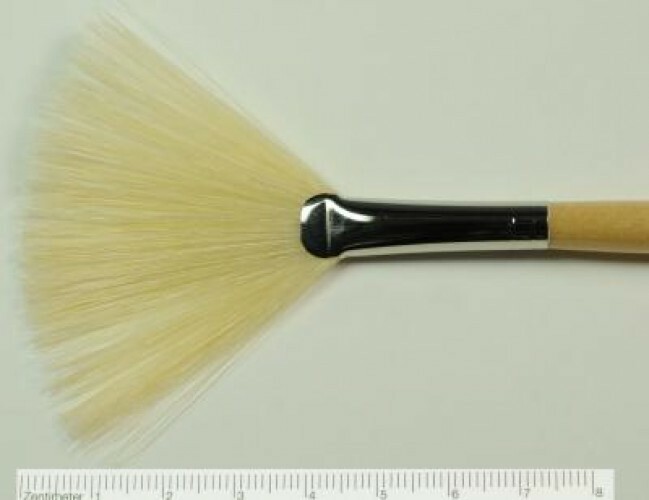 Fan Blender, White Bristles, No. 6 | Fan Blender | Various Special Brushes | Brushes | Kremer Pigments Inc.
Seamless silver ferrule, long clear lacquered handle. Customer evaluation for "Fan Blender, White Bristles, No. 6"